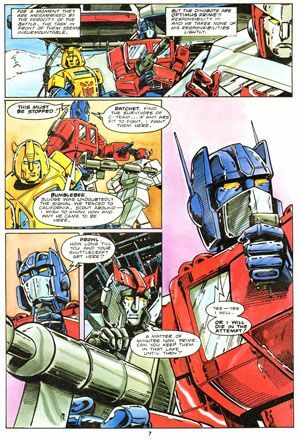 Tim's first mainstream work began on Marvel UK's Best-selling Comic Book "Transformers" in the eighties. 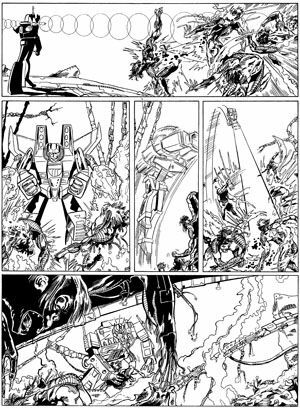 Issue 50 of Transformers with pencils by Barry Kitson was the first issue he worked on as inker. A fortuitous visit to Marvel's UK offices in Bayswater, London, after receiving a request from the editors asking if he would like to show his portfolio of work, introduced Tim to Barry Kitson, who was working on the British version of the Spiderman comic at the time. Tim was asked if he would like to try inking some of Barry's pencil work as a test to show to Marvel's editors. This was duly done and sent to Marvel in London, who gave Tim a great response, but no work. He collaborated with Barry another couple of times and got the same response, "Great stuff Tim", but still no work. 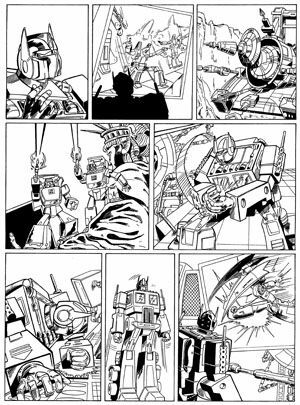 About six months after meeting Barry at Marvel he received another call from him asking if he could help him out on some inking on an issue of Transformers that he was late on deadline with. Arriving at Barry's house the next day armed with his brushes and inks he began work on what would become his first work for a mainstream comic company. Barry had pencilled the story and was inking it with pens, but Tim used brushes and impressed Marvel's editors because no one could see where Barry's pen work ended and Tim's brush work began. Issues 1, 50 and 100 of any comic are always landmark issues and something for the comic company in question to promote to its readership, but for Tim this issue holds a special meeting. "It was my first step up the ladder in the comic industry". 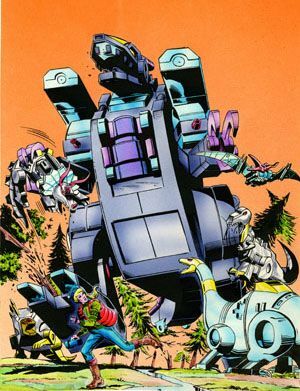 The Marvel Transformers comic had two versions the UK and its American counterpart. The series was based on the hit toys from Hasbro and later the equally well received children's animation series. Recent years have seen a revival of interest of comic books related to eighties animated cartoon series and have resulted in new American comics being produced. 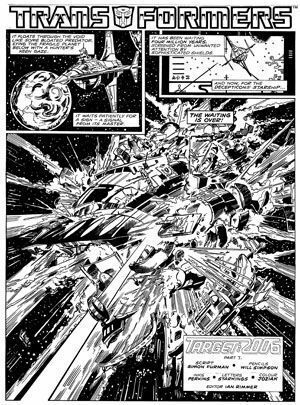 UK comic writer Simon Furman, the writer most closely associated with the Transformers comics has been involved with the writing of this new breed of Transformers comics. 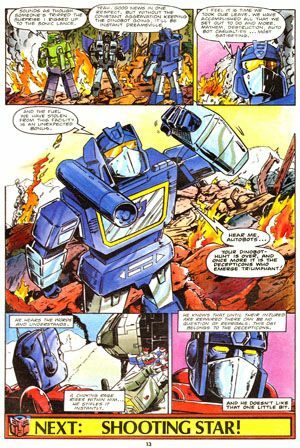 The UK Transformers comic became Marvel UK's flagship title in the mid to late eighties and at its height sold over 120,000 copies per week. It was the fourth and concluding part of the Dinobot story arc. 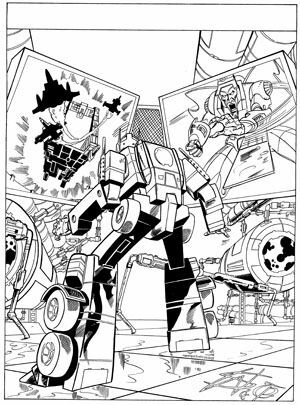 Following on from issue 49 the Autobot, Sideswipe's team have nearly secured the Dinobot called Grimlock when another Dinobot Sludge arrives. The Dinobots battle and Huffer and Bluestreak are knocked out, leaving a battered Sideswipe to call for help. The watching Decepticons prepare to use their diversion for cover as they raid a local oil rig. 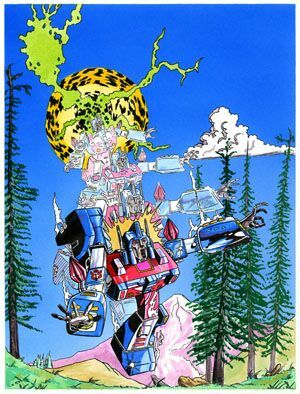 The Autobots leader Optimus Prime, along with his two fellow Autobots Ratchet and Bumblebee arrive to try to contain the Dinobots in a lake, with fellow Autobot, Prowl following in a second shuttle. 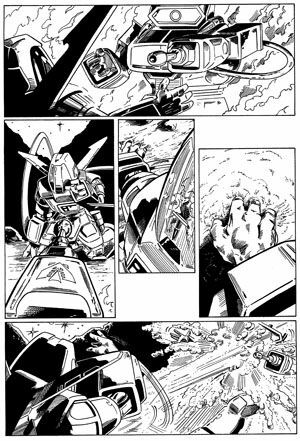 Prowl is able to crash the shuttle into the lake, electrocuting Grimlock, but Sludge still attacks Optimus Prime. Meanwhile, Bumblebee finds the Decepticon shuttle, and gets the trio of prisoners to safety. He then destroys the shuttle, cutting the Decepticons' control of Sludge, and knocking the Dinobot out. The hunt is over, with several damaged Autobots and a lot of wasted resources, the Decepticons have won this one. 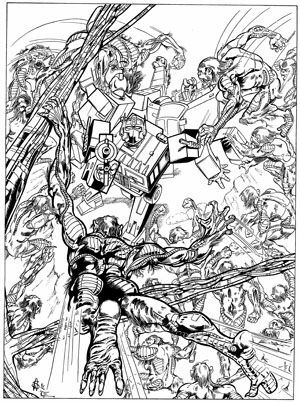 The first was an unused cover, pencilled, inked and coloured by Tim. The second is coloured by Tim, over artwork by legendary US artist Herb Trimpe.